The forest is ablaze with the colors of autumn and a gentle breeze causes the leaves to flutter as they cling to the tree for just a little longer. 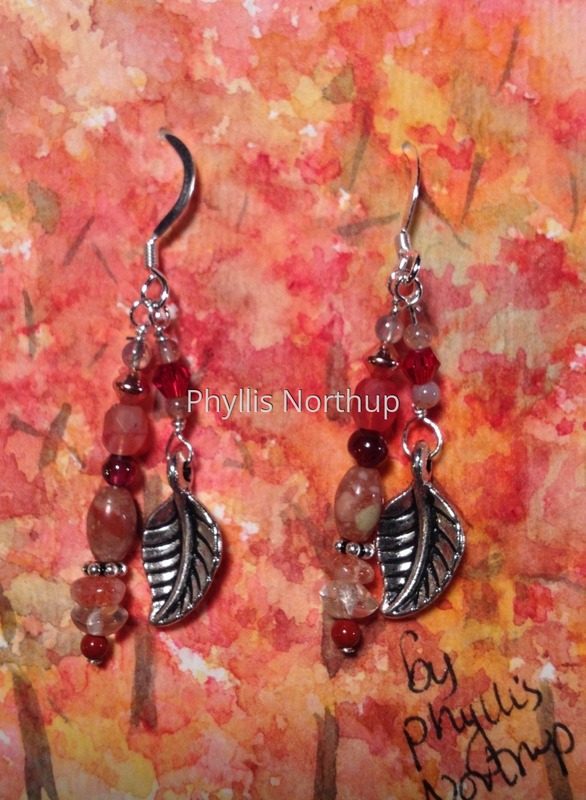 These double drop earrings celebrate the colors of autumn and are presented on a hand painted card, giving you a mini original watercolor with your jewelry purchase! Price includes shipping.